The process of advertising to Potential Real Estate Listing Clients and advertising client properties is as easy as 1,2,3. Get started with advertising yourself, capturing clients and listing properties with our 3 steps for Real Estate Listings! You receive and inquiry from a client looking to list or perhaps you want to advertise to potential Real Estate Listing Clients your services as a Real Estate Agent. We can make this process easier for you through several ways and we will help you determine which is the best method. 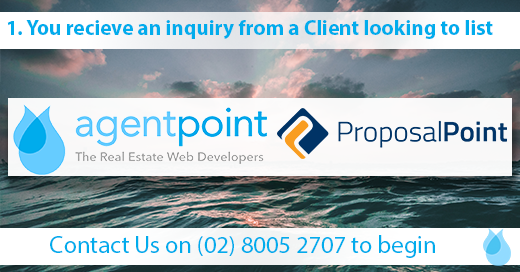 Contact Us on (02) 8005 2707 and one of our Agents can assist in finding you the best methods. You can discuss everything from URL options, style, design, buttons and a range of interactive and visual elements! 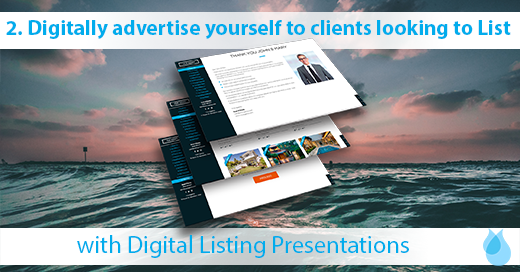 Once you are set up with us we can begin making you a Digital Listing Presentation to advertise your services and your brand to clients looking for Real Estate Listings. Why do this instead of just emailing them yourself? Simple, cut down on the manual labour, have everything in a polished and professional digital presentation and track and measure your performance! Now your Client is on board and you are ready to advertise their property to potential customers! 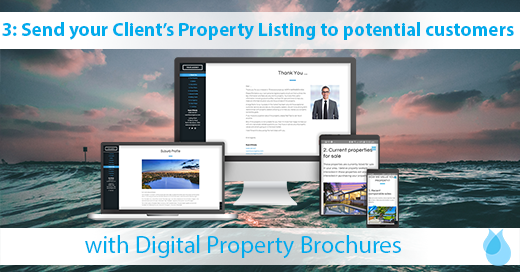 Instead of having to email each client individually or go to each domain to list their property you can utilise our Brochures to email and/or sms clients a link to a custom presentation focused on your client’s property. Posted in Agentpoint News, News, Our Products, Product Q & A on 11 Jan, 2018 by Ryan O'Grady.